Let two Legends and four world-class trainers show you how to claim all the power you need to blast through every roadblock to your success. Learn the real causes of procrastination and how to defeat it. The answer may surprise you and the “cure” will turbo-charge all of your efforts. In fact, the power is often so strong that people in their presence perceive an “aura” around such a person. Some of them discovered their personal power after much trial and error, struggle and adversity. Others discovered it almost unconsciously because they were modeling someone they admired who also had this inner power. It is also a fact that not a single one of the group I describe acquired their power from the outside. In every single case, without exception, the power came from within. As James Allen teaches us in the classic As A Man Thinketh, and as every other great sage has agreed, your outer world is simply a reflection of your inner world. Like it or not, the state of your life today is an exact manifestation of the state of your mind. When I became aware of that knowledge twelve years ago, I certainly didn’t like it. My life was upside down. My family and I had been evicted from our home and we had lost our last automobile to repossession. For more than a year I drove a 12-year-old ragged out car I borrowed from a friend. I earned so little money that I qualified for federal poverty programs. But the real poverty was in my thinking (and consequently, in my actions). And I certainly didn’t want to admit that my own thinking had created my miserable conditions. But ironically, it was that action that led to my ultimate discovery of how to claim all the power I needed to turn my life around. And turn it around I did. From financial, physical and spiritual ruin to a life so far beyond where I was, that some days I have to pinch myself to make sure I’m not dreaming. What I learned along the way – during the days when I wouldn’t answer the phone because it was a bill collector (on those days when the phone wasn’t cut off) – during the nights when I cried myself to sleep because the situation looked so bleak and helpless – all the lessons, all the insights, all the life-changing exercises – are included in a powerful seminar we developed that’s aptly titled Claim Your Power Now: The “one day to a breakthrough” seminar. We took this seminar to seven cities in North America and the results were beyond even our wildest expectations. From that first morning in Atlanta to that last afternoon in Toronto, the breakthroughs we witnessed were touching, life-changing and powerful! I’m calling people I’ve put off talking to, I’m making appointments, and I’m closing sales. I don’t give a flying fling about the excuses people try to shove down my throat. I’m more powerful than they are. Damn, this is FUN! Twelve years ago I desperately needed a breakthrough, and from the thousands of people I’ve coached and communicated with in the last eight years, I know there are millions more just like me. After we announced our seven-city tour we heard from multitudes from around the world. "We can't come there, please come here," they wrote. Many others asked if it would be recorded and could they buy the CDs or DVDs. We heard you and we have responded with a brand new album produced from the recordings of the live events by the pre-eminent spoken-word producer in the U.S. Now, in the comfort of your home and automobile you can experience an exciting breakthrough just like the live audience where this life-altering material was recorded. I don’t think it’s an accident you’re reading this page. A basic tenet of the Universal Law of Attraction is “whatever you are seeking is also seeking you.” If you’ve made it this far you’re the person we’re seeking to find a breakthrough with…and I believe that’s what you’re seeking in your life right now. I’ve been to numerous “motivational” seminars and I’ve always found them helpful for getting my attitude right and getting my motor running. But the fact is, a motivational seminar won’t help you blast through the roadblocks to your success.. for that, you need a “how-to” seminar. Let us give you a simple, step-by-step system that will show you how to create anything in life you want, and blast through every obstacle on your way to it. The first (and most important) step to a breakthrough that most people ignore. (You will actually take this step on the very first CD). Wow I must say I am addicted to the energy I received. Thank you for the inspiration, the excitement and the drive to make things happen for myself. Mentored by Earl Nightingale, he's traveled the globe to train thousand-aires to be millionaires and millionaires to be multi-millionaires. Star of The Secret DVD and author of the million-selling "You Were Born Rich." 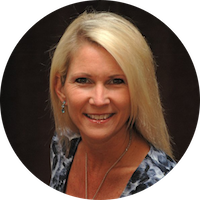 The best selling author of Conquer Fear! will help you claim all your power over fear and all the limiting factors in your life. 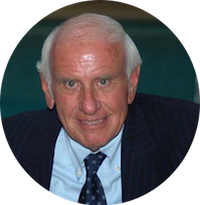 Mentor to Tony Robbins, Les Brown and millions more; author of more than 17 books, audio and video programs, Jim was internationally hailed for more than 40 years as one of the most influential thinkers of our time. 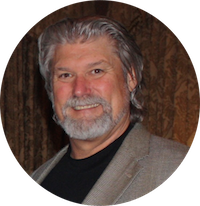 From $15,000 a year and qualifying at the federal poverty level to $15,000 a day and more for his training and systems, he'll show you how to Claim Your Power Now with a "bulletproof" belief in yourself. I have the most incredible online travel business and I am succeeding mostly because I listen to Claim Your Power Now CD's over and over again. What a fantastic tool. Thank you. This pack of information is unlike anything that I have listened to in a while! It is very refreshing to hear the material presented in a new fashion that is not stale or out of date. All the speakers are dynamite and easily get me FIRED UP! I guess it is the dynamics of a live audience and their reactions that make a difference. Thank you for changing my life.. You are a blessing and I am so grateful to you and Bob Proctor, for coming into my life. 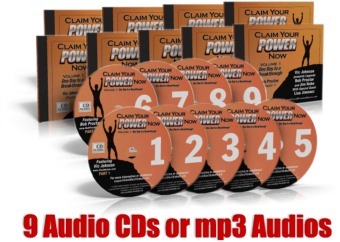 If you are looking to improve your checkbook, your health, your family and work relationships or achieve your dream, the Claim Your Power Now series is a true treasure chest, full of vital information, sensibly presented, that will help you find your way. Whether you're just beginning your success library or adding another valuable volume, the time you spend with Vic Johnson, Lisa Jimenez, and Bob Proctor will be invaluable to you. It has been to me. Entrepreneurs, Professionals and Business Owners (and wannabes) - Looking to double, triple, even quadruple the income from your business or practice but don’t know how you can work any harder? Claim your power now with a breakthrough to explosive growth with the same (and even less) effort than you’re currently making! Real Estate, Insurance, Mortgage Brokers or any other kind of sales – Been to all the sales seminars and read all the sales books and still not getting the results you expect? Claim your power now with a breakthrough that will show you how to control the “natural thermostat” that determines your maximum sales levels! Network Marketers and MLMers – Love your company and love your plan but haven’t been able to make it work for you? Claim your power now with a breakthrough to the thirteen-word “secret” behind the massive success of every MLM legend! Stuck in a rut – Dreaming of something better but just can’t seem to muster the energy or enthusiasm? Claim your power now with a breakthrough to a powerful formula that will have you bounding out of bed every day with the same enthusiasm you have on the first day of vacation! Millions of people around the world have been “awakened” by the ageless wisdom contained in the blockbuster movie, The Secret. But three years after the movie came on the scene, many people are still struggling to make the Law of Attraction work for them. 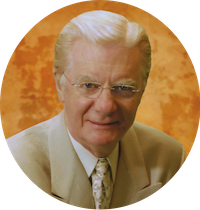 In this new CD Bob Proctor spells it out clearly while giving the prescription that anyone can follow to live a life of unlimited abundance. 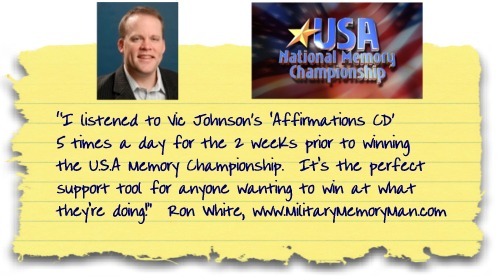 Claim The Incredible Affirmations CD That Ron White Used To Win The U.S.A. Memory Champion-ship. You can't begin to Claim Your Power Now if there's fear in your life. Your solution to overcoming fear, doubt and worry in your life begins with this Feature-Length video by Lisa Jimenez, best-selling author of Conquer Fear. And it's available immediately after checkout. Here’s the deal. And it’s real simple. I want you to Claim Your Power Now. I know it will make a difference in your life. But if you’re not thoroughly convinced that Claim Your Power Now is worth every single penny, just return it for a full 100% refund anytime in the next year. No questions asked! And you’ll keep all the bonuses so it’s even better than just your money back. No weasel words in this guarantee. Just your absolute assurance that you have nothing to lose and everything to gain. Let me leave you with this closing thought. According to Einstein, the definition of insanity is “doing the same thing over and over again and expecting different results.” If you’re not happy with the results you’ve been getting, it’s time to change what you’re doing. It’s time to Claim Your Power Now. So go ahead, act now, while special savings are available. P.S. Let's face it. Nobody ever looks back on an offer they DIDN'T take and remembers that as the turning point in their life. Truthfully, you'll probably forget all about this offer in a few days and move onto something else. Only those select individuals who get this material will know what Bill Cobb of Louisiana meant when he wrote “you have helped awaken the giant within me and I haven’t been the same since.” Stop waiting for your ship to come in. Click on your choice above so you can determine shipping costs. Make out your check (U.S. Only) and fax it to us at 877-233-1557 and we'll process it electronically (be sure and record in your checkbook). Be sure and include your name, email address, product you are ordering and shipping costs.